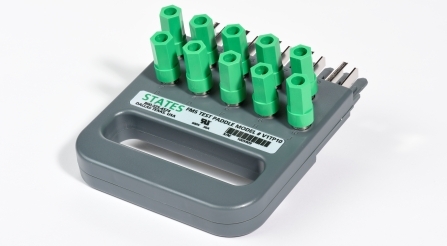 The NEW STATES� 10 and 14 pole potential test paddles are feature packed and have been designed to make a test technician's job easier. To order 10 pole paddle, use part number V1TP10. To order 14 pole paddle, use part number FTP14 . To order Test Lead Kit with 10 pole paddle, use part number FTPKIT-V1. 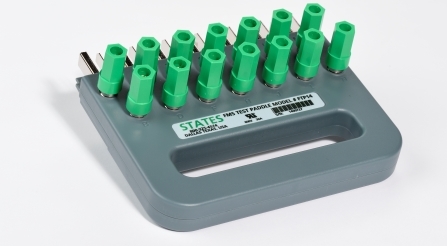 To order Test Lead Kit with 14 pole paddle, use part number FTPKIT14.